Over 8,000 beneficiaries have lost coverage in the last two months. 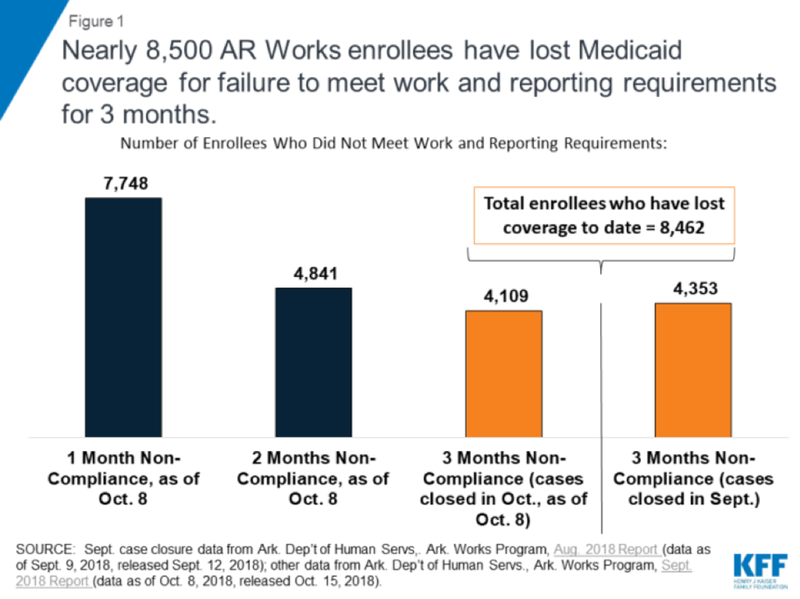 Earlier this year, the Trump administration approved Arkansas&apos; Medicaid waiver application, which imposed work requirements on able-bodied adult recipients. As of June of 2018, able-bodied adults without dependents in Arkansas were required to complete 80 hours of work or other qualifying activities (such as volunteering, education, and job training) every month, 10 months per year, and to report those hours online. 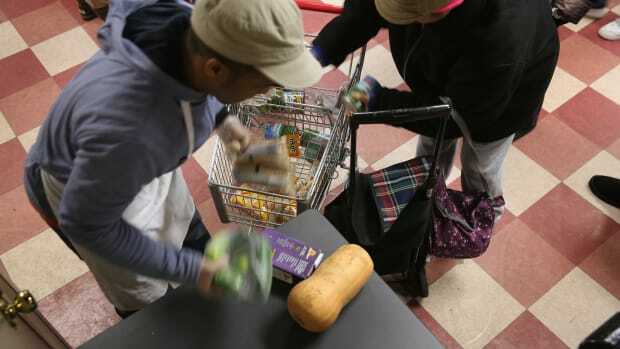 Recipients who fail to meet the requirements for three months will be locked out of the program for the remainder of the calendar year. This lack of reporting on the part of so many beneficiaries concerns policy experts and program advocates. 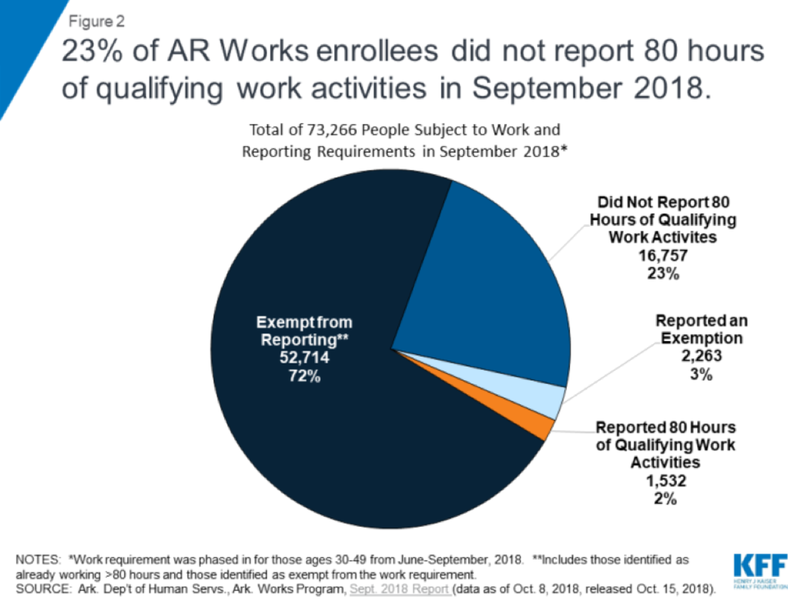 In a KFF report published earlier this month, researchers pointed out that many enrollees simply aren&apos;t aware of, or don&apos;t understand, the new work requirements. While the state and health plans have launched outreach efforts, the KFF researchers conclude that "many enrollees have not been successfully contacted," and that the notices sent by mail are confusing. Another frequent point of puzzlement for Medicaid recipients: how to actually report their work hours. Recipients are required to report their activities through a complicated online portal system (one that has suffered technical difficulties). But approximately one-third of affected beneficiaries have no Internet access; many more rely on mobile phones for Internet access. What&apos;s more, both the online portal and the specifics of the requirements are confusing and tedious. Beneficiaries must complete 13 steps in order to report working hours, for example, and different work activities have different hourly conversion rates. The data on the positive effects of the Affordable Care Act&apos;s Medicaid expansions seems to grow by the day. 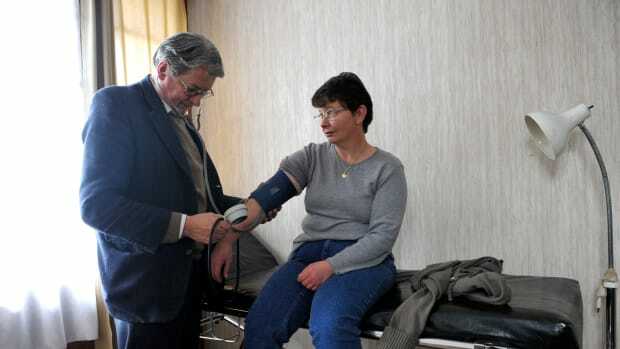 Researchers have found positive effects on health outcomes, access to care, and economic outcomes. 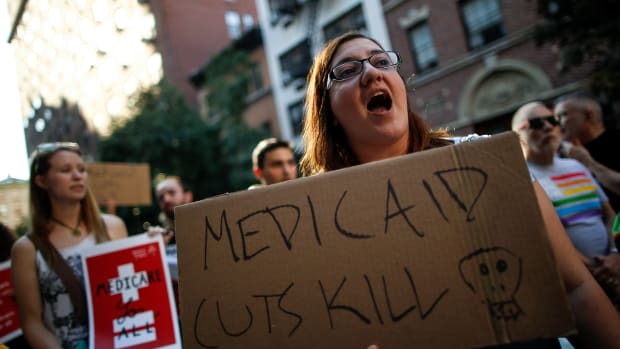 A study released in August found that over 83 percent of employed, continuously enrolled Medicaid recipients in Ohio said their coverage made it easier to hold down a job. 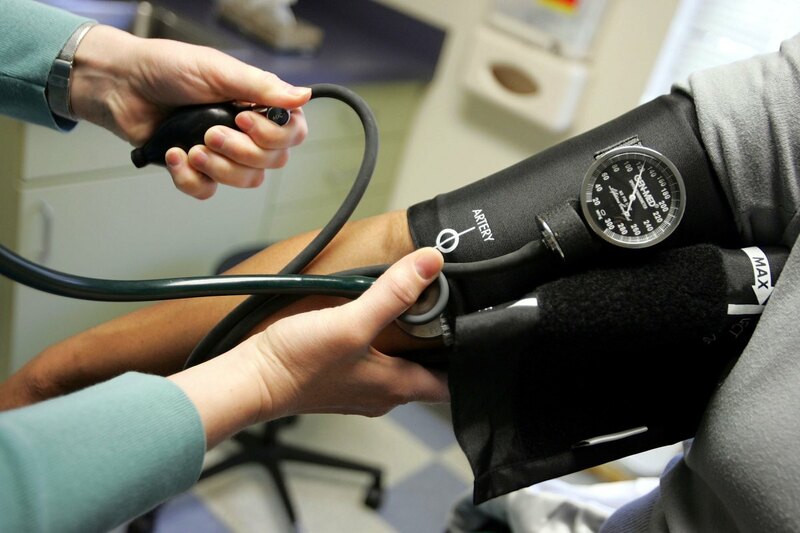 Most recently, the Government Accountability Office published an analysis concluding that "low-income adults in expansion states were less likely to report having any unmet medical needs compared with those in non-expansion states," and that "low-income adults in expansion states were less likely to report financial barriers to needed medical care and other types of health care." 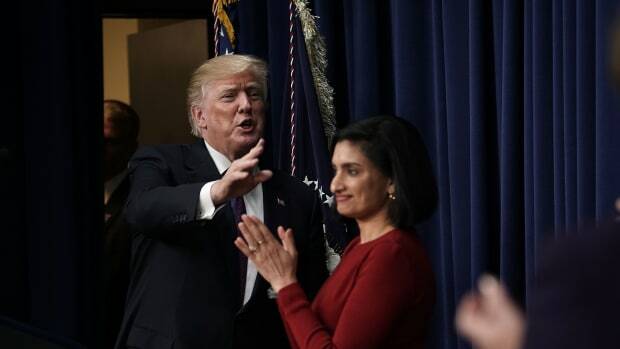 The stated goal of these Medicaid work requirements is to help the "new able-bodied, working-age Medicaid population unlock their fullest potential." But all the data from Arkansas shows is that these mandates jeopardize the health of vulnerable Americans.